PARIS (Reuters) – French sugar group Tereos is still working to find additional banks to spread risk on a 250 million euro ($281 million) loan secured earlier this year, two sources familiar with the matter said. Tereos, the world’s second-biggest sugar producer, has struggled to cope with poor market conditions since the European Union’s output quota regime ended in 2017, warning that it would post a loss for a second year in a row this season. The debt-laden cooperative group said in February it had subscribed a 250 million euros ($281 million) loan with BNP Paribas, Natixis and Rabobank, to reimburse half of its 2020 bond one year in advance. Tereos then launched a syndication round with about 10 banks, including other members of its banking pool and new ones, in a bid to spread the risk, the two sources said. The call, for 50 million euros, had not secured any bids by April 15, they said. “The group is in constant dialogue with its financial partners on various financing operations around the world. The group does not comment on these non-public discussions which, taken in isolation, may give a misleading picture of the group’s funding,” Tereos said in an email statement. Potential bidders were put off by tough conditions for European sugar producers faced with a collapse in prices, the two sources said. The company’s high debt level and poor results expected this year deterred one potential bidder, a third source familiar with the syndication round said. “The problem here was significant risk. The pricing offered failed to attract banks,” said the third source. The departure of the group’s Chief Financial Officer Olivier Casanova, responsible for presenting the syndication offer, discouraged one potential participant, the same source said. Natixis and BNP declined to comment. Rabobank was not immediately available to comment. Tereos held net debt of 2.7 billion euros by Dec 31, up 4.5 percent on the year, putting the net debt to adjusted EBITDA ratio at 8.0 versus 4.1 a year earlier. Concerns about Tereos’ financial health in a difficult sugar market sent yields on the group’s bonds to all time highs late last year and they have remained high since with Tereos’ June 2023 bond yielding 8.5 percent on Thursday. The sugar maker said in February it maintained at group level a financial security of 1 billion euros as of Dec 31, 2018, including a still undrawn 225 million euros back-up facility, despite plunging profits. A surge in output after the European Union abolished production quotas and a 40 percent slump in prices since early 2017 in an oversupplied world market has hit profits for several European firms. Suedzucker, Europe’s largest sugar refiner, said in February it would halt sugar output at two factories of its French branch Saint Louis Sucre while French competitor Cristal Union is planning to shut another two. 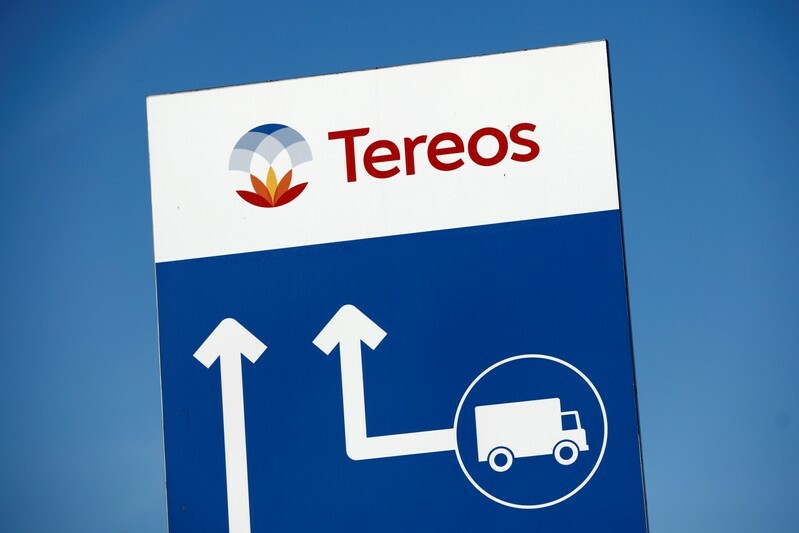 Tereos has said that the group does not expect to close any plants in France. The group is looking at opening its business to partners to boost diversification and internationalisation. The process could take two or three years, it said. 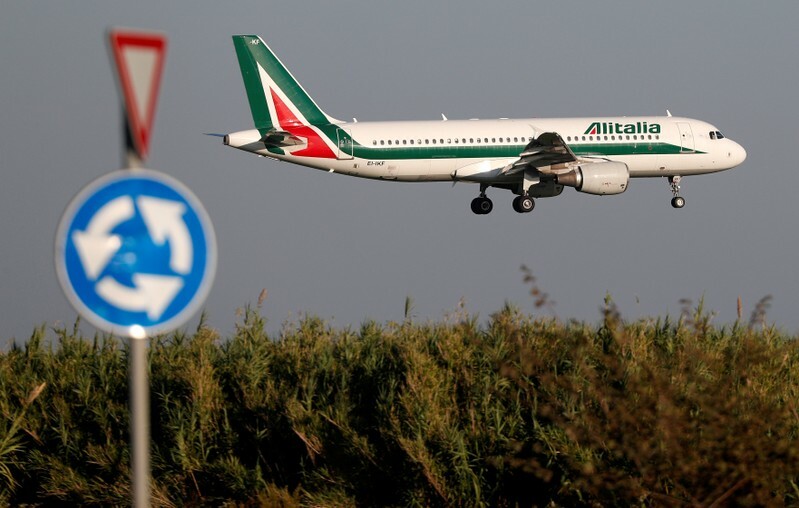 WASHINGTON (Reuters) – The U.S. Federal Aviation Administration said Friday that a joint governmental review of the now grounded Boeing 737 MAX will begin on April 29 and will include 9 other aviation regulators from around the world. The FAA said earlier this month it was forming an international team to review the safety of the aircraft, grounded worldwide following two deadly crashes – in Indonesia in October and in Ethiopia last month – that killed nearly 350 people. China, the European Aviation Safety Agency, Canada, Brazil, Australia, Japan, Indonesia, Singapore and the United Arab Emirates will all take part, the FAA said, in the Joint Authorities Technical Review (JATR) that is set to last 90 days, the FAA said. Most of the countries previously confirmed they would take part. The JATR is chaired by former National Transportation Safety Board Chairman Chris Hart and is comprised of a team of experts from the FAA, NASA and international aviation authorities. The group will conduct a comprehensive review of the certification of the aircraft’s automated flight control system. The team will evaluate aspects of the 737 MAX automated flight control system, including design and pilots’ interaction with the system, “to determine its compliance with all applicable regulations and to identify future enhancements that might be needed,” the FAA said. American Airlines and Southwest Airlines Co have canceled flights into August as a result of the grounding. 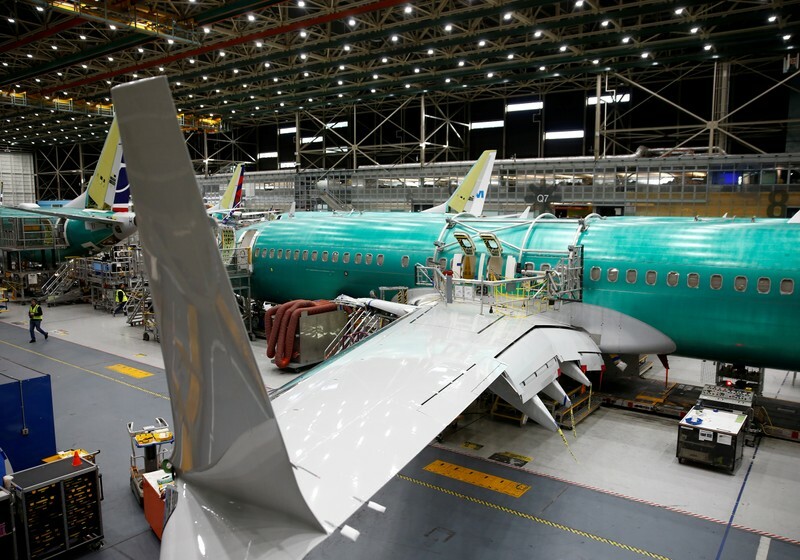 Boeing Chief Executive Dennis Muilenburg said Wednesday the manufacturer is making “steady progress” on the path to certifying a software update to the grounded 737 MAX and has made the final test flight before a certification flight. CARACAS (Reuters) – Venezuela’s opposition-controlled National Assembly expects to vote on making a $71 million bond interest payment when it meets next week, a lawmaker and a member of state-run oil company PDVSA’s ad-hoc board of directors said. Payment would protect U.S. refiner Citgo, PDVSA’s crown jewel overseas asset, from potential seizure by creditors. But it was not immediately clear how the opposition-aligned ad-hoc board, which does not control PDVSA’s day-to-day operations, would make the payment or what funds it would use. Alejandro Grisanti, an economist appointed to the ad-hoc PDVSA board by the National Assembly last week, said the board was “sparing no effort” to make the payment on PDVSA’s 2020 bond, which is backed by half the shares in Cigto. The bond payment would be part of National Assembly leader Juan Guaido’s effort to protect PDVSA’s overseas assets. Guaido in January invoked the country’s constitution to assume an interim presidency on the basis that President Nicolas Maduro’s 2018 re-election was illegitimate. Maduro, who says Guaido is attempting to oust him in a coup, still controls the day-to-day options of PDVSA within Venezuela. The United States and most Western countries have recognized Guaido as Venezuela’s rightful leader, and the board he has appointed to Citgo controls the company. “We are working on making that decision,” Guaido told Reuters on Friday, referring to the interest payment. Failure to pay the bond, one of the few that cash-strapped Venezuela has remained current on while defaulting on some $8 billion in debt, could allow bondholders to seize Citgo shares as compensation. 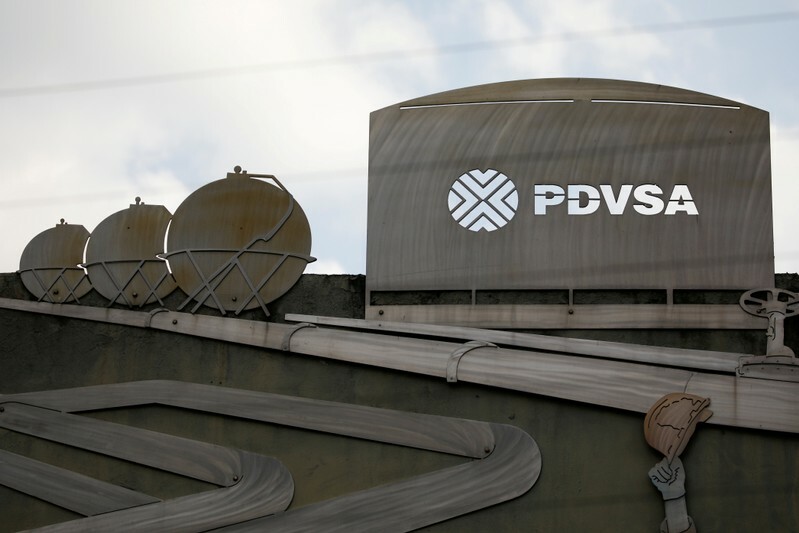 PDVSA has a 30-day grace period following the April 27 payment deadline. Efforts by any Maduro-linked institution to pay could run afoul of U.S. sanctions, which restrict dealings with PDVSA by U.S. entities. Opposition lawmaker Stalin Gonzalez, the National Assembly’s’ vice president, said congress would debate the payment next week. Grisanti said approval would allow PDVSA to request a license from the U.S. Treasury Department’s Office of Foreign Assets Control (OFAC), which enforces sanctions, to make the payment. The National Assembly is the only Venezuelan government body recognized as legitimate by the United States. Grisanti said the board could use funds from PDVSA crude sales to pay, without detailing where those funds were held. Guaido’s allies have said they have no plans to use Citgo’s funds. Neither PDVSA nor Venezuela’s Information Ministry responded to requests for comment. 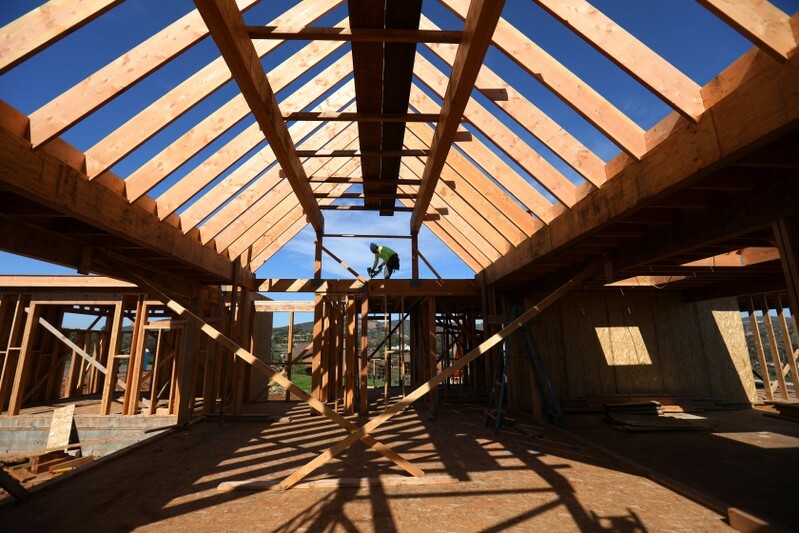 WASHINGTON (Reuters) – U.S. homebuilding dropped to a near two-year low in March, pulled down by persistent weakness in the single-family housing segment, suggesting the housing market continued to struggle despite declining mortgage rates. Some of the weakness in homebuilding reported by the Commerce Department on Friday likely reflected disruptions caused by massive flooding in the Midwest, with housing starts in the region declining to levels last seen in early 2015. The report bucked a recent tide of upbeat data that indicated the economy regained speed as the first quarter ended. Housing starts fell 0.3 percent to a seasonally adjusted annual rate of 1.139 million units last month, the lowest level since May 2017. Data for February was revised down to show homebuilding tumbling to a pace of 1.142 million units instead of the previously reported 1.162 million-unit rate. Housing starts in the Midwest, which was devastated by floods during the month, dropped 17.6 percent. Building permits fell 1.7 percent to a rate of 1.269 million units in March, the lowest in five months. Building permits have now declined for three straight month. Permits for single-family housing dropped to a more than 1-1/2-year low in March, a bad omen for starts in the coming months. Economists polled by Reuters had forecast housing starts increasing to a pace of 1.230 million units in March. The prolonged weakness in homebuilding likely reflects land and labor shortages, as well as expensive building materials. The 30-year fixed mortgage rate has dropped from a peak of about 4.94 percent in November to around 4.12 percent, according to data from mortgage finance agency Freddie Mac. Declining mortgage rates reflect a recent decision by the Federal Reserve to suspend its three-year monetary policy tightening campaign. The housing market hit a soft patch last year, with investment in homebuilding contracting 0.3 percent, the weakest performance since 2010. After stumbling at the turn of the year, other sectors of the economy are regaining momentum. Retail sales surged in March and trade, inventory and construction spending data have also been bullish, prompting economists to sharply upgrade their gross domestic product estimates for the first quarter. Growth forecasts for the January-March quarter have been raised to as high as a 2.9 percent annualized rate. They were at one point as low as a 0.3 percent rate following a batch of weak economic reports at the turn of the year. The economy grew at a 2.2 percent rate in the fourth quarter. Single-family homebuilding, which accounts for the largest share of the housing market, dropped 0.4 percent to a rate of 785,000 units in March, the lowest level since September 2016. Single-family homebuilding in the Midwest tumbled 21.2 percent last month to the lowest level since February 2015. Single-family starts also fell in the populous South. But they rose in the Northeast and West. Permits to build single-family homes dropped 1.1 percent to a rate of 808,000 units in March, the lowest since August 2017. Single-family home building permits have now declined for four straight months. Starts for the volatile multi-family housing segment were unchanged at a rate of 354,00 units in March. Permits for the construction of multi-family homes dropped 2.7 percent to a pace of 461,00 units last month. 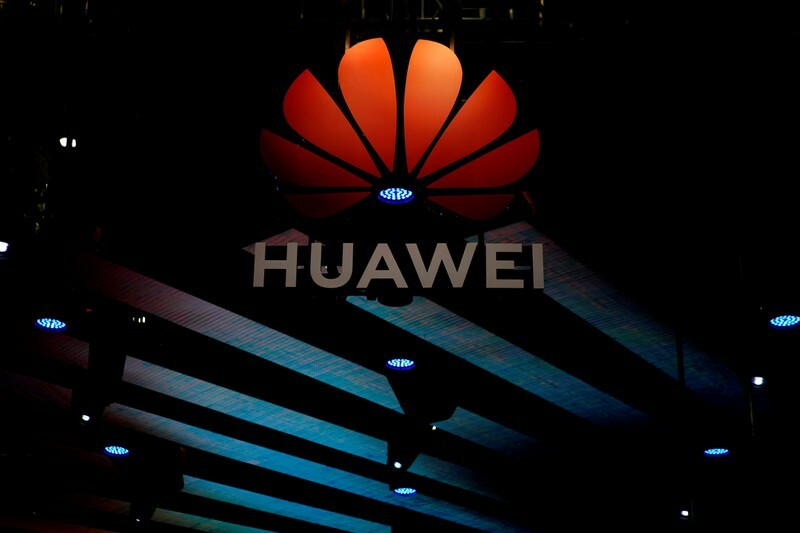 BEIJING (Reuters) – China will maintain policy support for the economy, which still faces “downward pressure” and difficulties after better-than-expected first quarter growth, a top decision-making body of the Communist Party said on Friday. The statement from the politburo came two days after China reported had steady 6.4 percent annual growth in January-March, defying expectations for a further slowdown, as industrial production jumped sharply and consumer demand showed signs of improvement. “While fully affirming the achievements, we should clearly see that there are still many difficulties and problems in economic operations,” the official Xinhua news agency reported, citing a politburo meeting chaired by President Xi Jinping. China will implement counter-cyclical adjustments “in a timely and appropriate manner”, while the pro-active fiscal policy will become more forceful and effective, and the prudent monetary policy will be neither too tight nor too loose, it said. 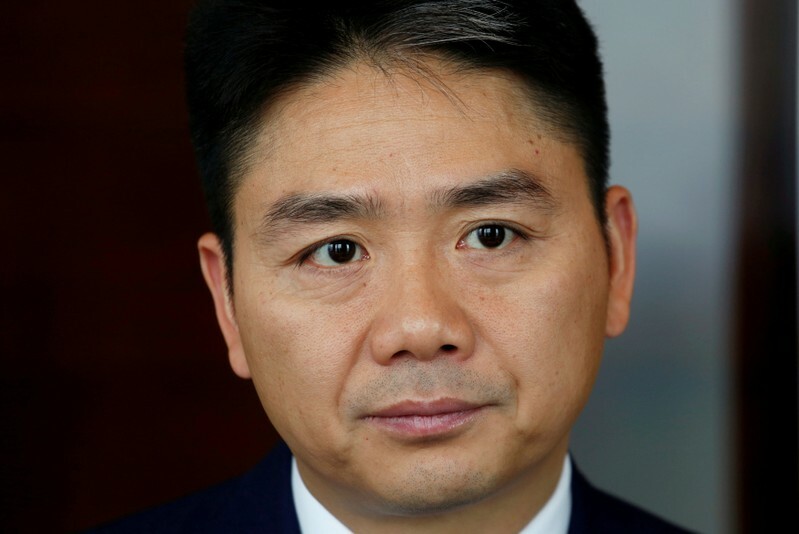 For this year, the government has unveiled tax and fee cuts amounting to 2 trillion yuan ($298.35 billion) to ease burdens on firms, while the central bank has cut banks’ reserve requirement ratios (RRR) five times since early 2018 to spur lending. Further policy easing is widely expected. On Friday, the politburo reiterated that the government will effectively support the private economy and the development of small- and medium-sized firms.Authorities will strike a balance between stabilizing economic growth, promoting reforms, controlling risks and improving people’s livelihoods, the politburo said. 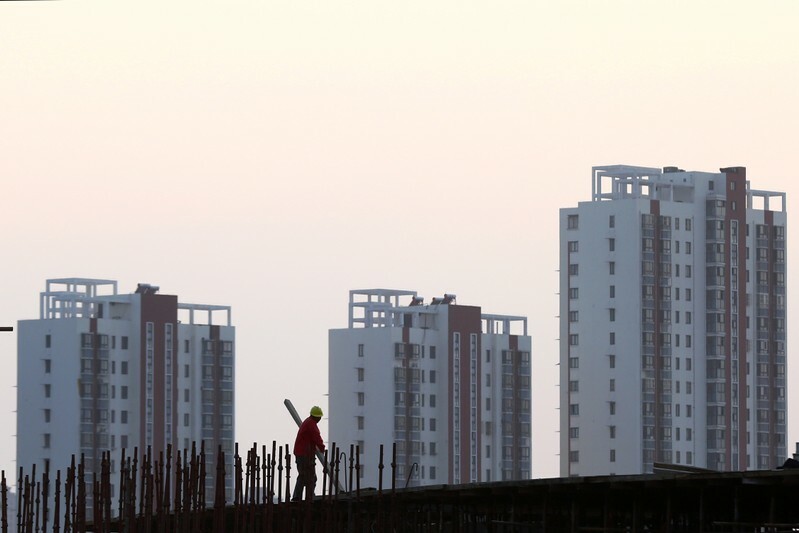 China will push forward structural deleveraging and prevent speculation in the property market, it said. “We should adhere to the orientation that houses are used for living, not for speculation,” the politburo said, reaffirming a city-based approach in controlling the property sector. China’s economic growth is expected to slow to a near 30-year low of 6.2 percent this year, a Reuters poll showed last week, as sluggish demand at home and abroad weigh on activity despite a flurry of policy support measures. 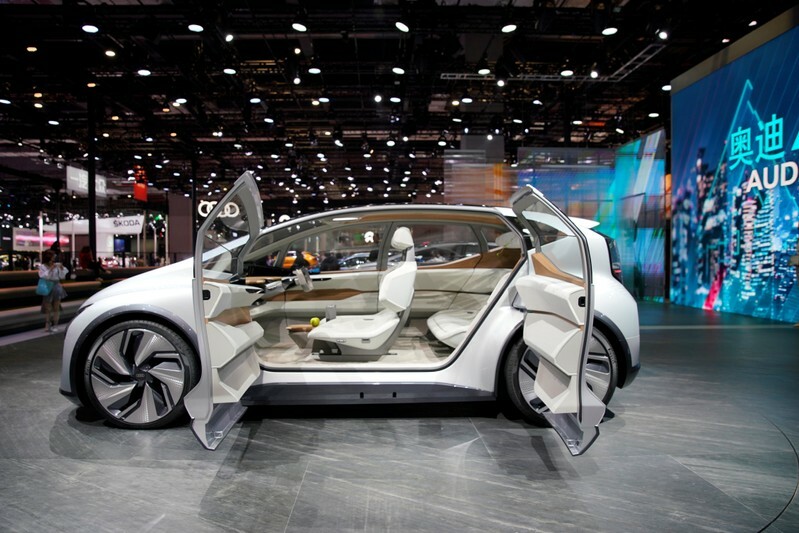 SHANGHAI (Reuters) – Electric vehicle (EV) concepts shown in Shanghai this week, such as the Audi AI:me and Infiniti QX Inspiration, point to a future of living-room-like comfort in cars with flat floors and ample space for sofa-like bench seats. 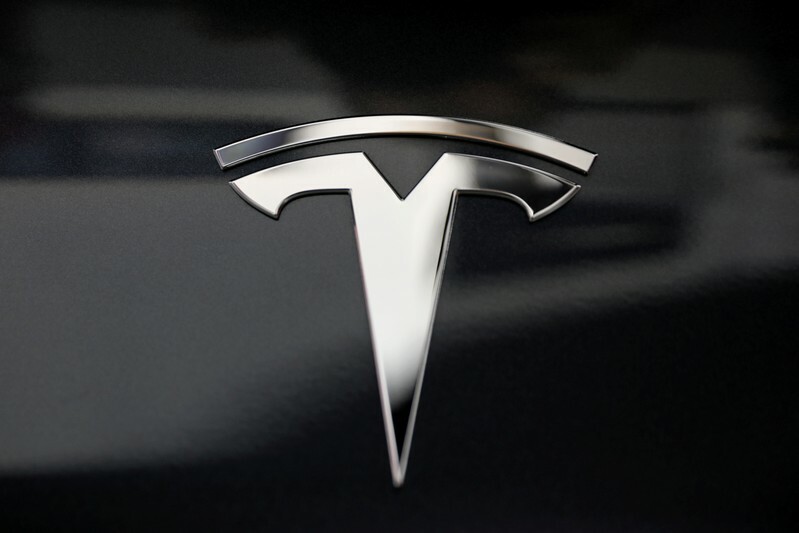 In the design studies, automakers have taken advantage of the space freed up by the electric motor, which takes less room than the bulky internal combustion engine, cooling apparatus and complex transmission gears needed for gasoline cars. As most batteries in an EV are laid out flat under the floor, the EVs shown in the Shanghai auto show, which started on Tuesday, also have more height and, in fact, many are sport-utility vehicles (SUVs). Both the AI:me urban car and Infiniti’s QX Inspiration SUV have flat floors, interiors large enough to accommodate what looks like a sofa in the back and more leg room and storage. Because there is no tunnel, which often houses the drive shaft and exhaust apparatus in a gasoline car, running through the length of the EV cabin, the center of the rear seat “can become just as valuable” as the space on its sides, design chief for Nissan’s premium brand Infiniti, Karim Habib, said. That in turn points to the possibility of “a return of the bench seat” in the front and the rear – a throwback to American cars of a bygone era, Habib told Reuters. The EV’s flat and slightly elevated floor allows passengers to slide into it, Habib said. “You can kind of comfortably sit into it … You can cross your legs, stretch your legs out,” he added, referring to the QX Inspiration concept car. Audi’s AI:me offers what the company’s China operations chief, Thomas Owsianski, described as “maximum space comfort” despite its smallish urban car profile.